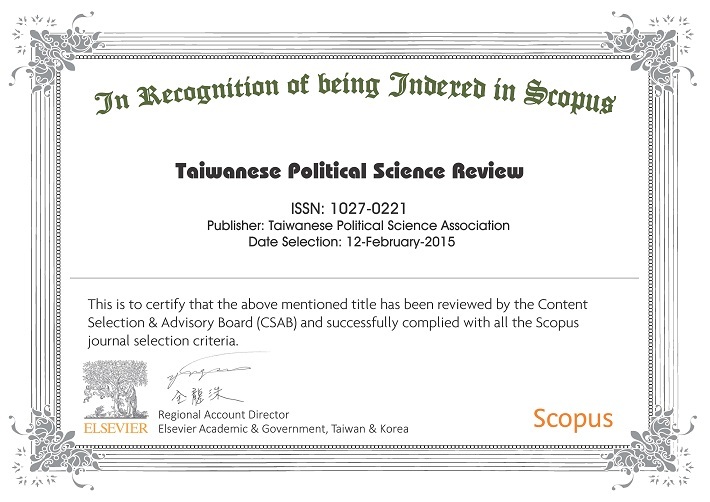 The Taiwanese Political Science Review (TPSR) is the journal published by the Taiwanese Political Science Association (TPSA). It has been edited by a group of scholars who have outstanding academic performance. They devote themselves to maintaining rigorous reviewing and editing practices. Through these efforts, we can not only enhance the research vigor in the political science field and demonstrate the high quality of research by the scholars in Taiwan, but also establish a rigorous paradigm for academic journals. With the breakdown of authoritarian rule in Taiwan, the combination of freedom to pursue the full-range of political science research and rich materials has resulted in an extraordinary abundance of fruitful academic accomplishments. In order to provide a professional forum for young scholars possessing endless research energy to express their viewpoints, The Taiwanese Political Science Review made its debut in 1995 under the support of Nai-teh Wu, the first president of TPSA. TPSR has published many popular articles and maintained a good academic reputation over the years. 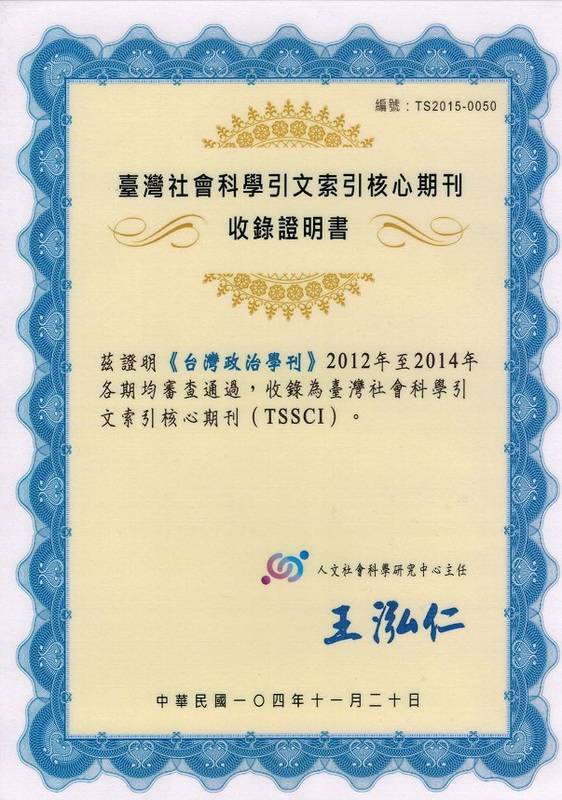 According to the survey commissioned by the National Science Council in 2008, which was conducted by professor Cheng-tian Kuo, TPSR is the most influential journal among all the political science journals in Taiwan. This indicates that the professional community holds TPSR in high regard.